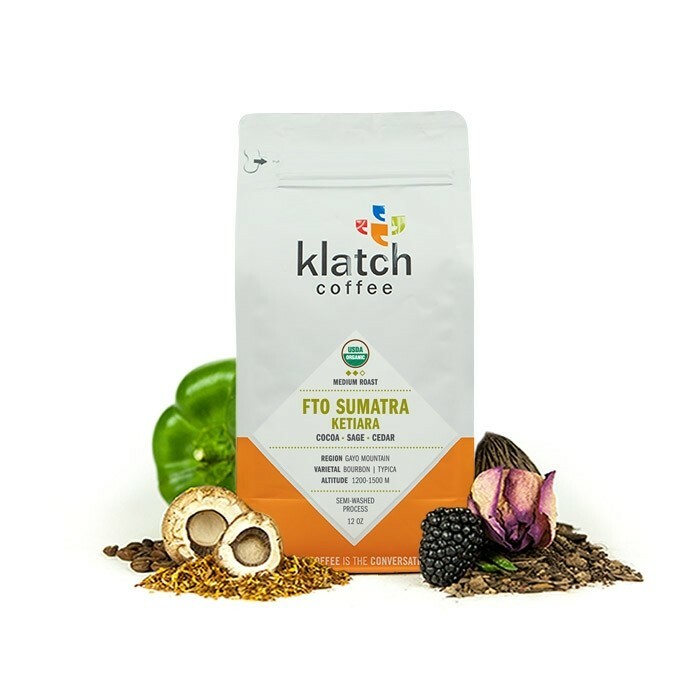 The Sumatra Ketiara Fair Trade & Organic was carefully roasted for you by Klatch Coffee. This semi washed coffee was grown by the woman-lead Ketiara Cooperative in the Gayo Mountain region of Sumatra. This coffee is Fair Trade and Organic certified. The flavor is a quintessential Sumatran profile; with a round body and earthy notes of cedar and sage complemented by a bittersweet cocoa. The good problem now is that Seth and the Mistobox Merrymakers have nailed the taste I like, so bag after bag of beans is delicious. All different. All superb. 4 stars is a rarity now. This one was pretty great. Not the best one we've had so far but I enjoyed having a local roaster--also meant that our beans were super fresh when they arrived! (within a couple days of roasting!) Dark, smooth, and lots of flavor. Especially delish with a splash of cream. Well-bodied and comforting. Not sharp, but has decent notes. This was a solid coffee. However, the cedar and sage caught me by surprise. Wonderful aroma, nice mellow flavor. A personal favorite to date. Nice cup... Earthy, full bodied with a bit of a bitter finish. This coffee is a really nice balance of its flavors. I found the last coffee to be far too earthy for me. However this one is smooth and light on the tongue. Get's smoother the more you drink it but can get a little bold. Definitely taste the cedar and sage.